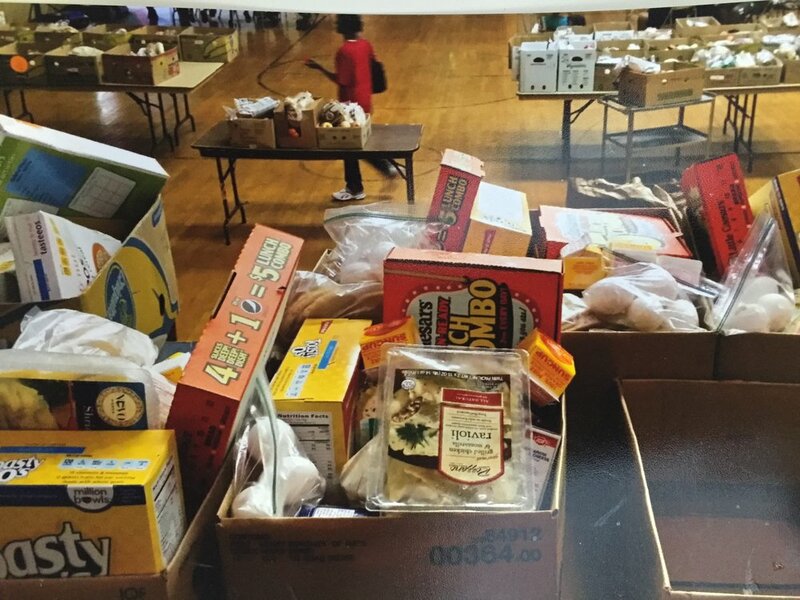 The Food Pantry at State Street Presbyterian Church has been in operation for over ten years. Started by Pastor Jamie Maldonado and and its congregation. Soon in February of 2018 the baton was passed on to Elder/Pastor Maria Delacruz who along with her dedicated family have kept the mission of providing food to the Schenectady Residents. Along with her Elder Minnie K Torres joins her to be Coordinator who oversees volunteers and other programs, Joshua Torres who is in charge of delivery and Jaime Delacruz as Stockroom, they and a slew of volunteers manage the Food Pantry who serves between an estimated 250 to 400 families each month. Clients of the Food Pantry must present a valid photo ID for all adult household members household over the age of 18, along with proof of residence. Anyone under the age of 18, may present a non-photo ID, or birth certificate or insurance cards with date of birth. The pantry does not allow household members to open their own case, you must allow the head of household to list you under their form. Clients may come once a month, allowing 30 days for their next pick up, as this is intended to be an emergency pantry to supplement other sources of food. The pantry supplies 3 days worth of food items per household. Some non-food items such as baby wipes and diapers, cat food and dog food may be available upon request. Food delivery is not available at this time. “Bedbound Program” is only available on a case to case review and only available strictly for individuals. You will need to call at (518) 709-9268 and ask to speak to Minnie Torres. The Food Pantry is open on Monday, Tuesday, and Wednesday from 12:30pm - until 3:00 pm or until we run out of numbers. La despensa de alimentos en la Iglesia Presbiteriana de State Street fue iniciada por más de diez años por el Pastor Jaime Maldonado y su congregación. En Febrero del 2018 la batuta fue pasada a la Anciana/Pastora Maria Delacruz y conjunto con su familia mantienen la mission de la dispensa de comida a los residentes necesitados de la ciudad de Schenectady. Conjunto a ella también la anciana Minnie K. Torres se une con ella como Coordinadora cual dirige voluntarios y otros programas disponibles, conjunto con Joshua Torres cual esta encargado de ordenes, y Jaime Delacruz en Almacenaje.Ellos y un conjunto de voluntarios dedicado trabajan el Food Pantry cual sirven un estimado 250 a 400 familias mensuales. Los participantes del food pantry deben presentar una identificación válida con foto, y prueba de residencia para todo adulto de 18 años. Cualquier persona menor de 18 años, pueden presentar una identificación o certificado de nacimiento o tarjeta de seguro medico con fecha de nacimiento. No se permite duplica de mismo residencia. Los clientes pueden venir solamente una vez al mes, permitiendo 30 días entremedio ya que este está destinado a ser una despensa de emergencia para complementar otras fuentes de alimentos. Algunos artículos no alimentarios, tales como baby wipes y pañales, comida de perro y gato pueden estar disponibles a petición. La entrega de alimentos no está disponible.El Programa Bedbound esta disponible caso a caso con una revision de servicios estrictamente a individuo. Puede llamar al (518) 709-9268. La despensa de alimentos está abierto los lunes, martes, y miércoles de 12:30 pm a 3:00 pm o cuando se corre fuera de números. Not all guest boxes will contain these items. Boxes vary week by week.